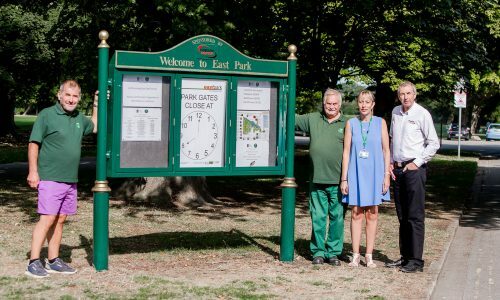 Following a close collaboration with the Friends of East Park, Hobson & Porter has designed and donated a noticeboard for the main entrance to East Park. The noticeboard welcomes all visitors entering from Holderness Road on the south side of East Park, Hull’s largest public park offering 138 acres of green space, water features and an animal education centre. Hobson & Porter formed a close working relationship with the Friends of East Park during our refurbishment of Woodford Leisure Centre, which borders the park, to ensure disruption was kept to a minimum while works were ongoing. Our project team offered support to the Friends group throughout the 18-month project, donating materials to the park, producing its newsletter and even helping with its 130th celebration event in 2017. 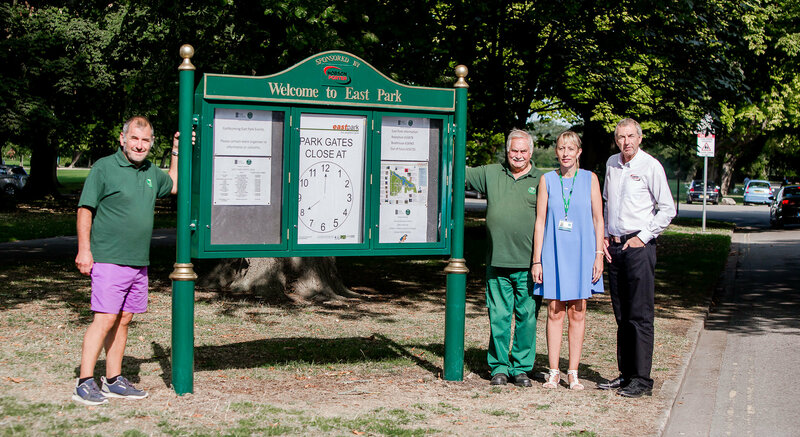 East Park was recently awarded a Green Flag Award. The Green Flag scheme recognises and rewards well managed parks and green spaces, setting the benchmark standard for the management of recreational outdoor spaces across the United Kingdom and around the world. Dave Blades, Business Development Director for Hobson & Porter, said: “We always aim to make a positive contribution to the communities we work in and this has been the case in East Park. The Friends of East Park do an exceptional job in maintaining this fantastic facility and we were very keen to do all we could to make their job easier while our team was transforming Woodford Leisure Centre.